Имате въпрос към Tirta Spa Homestay? Tirta Spa Homestay, който се намира в Барангай Манок-Манок, Остров Боракай, е популярно място за туристи. Хотелът се намира на 2.9 km от центъра на града и осигурява достъп до важните места на града. С удобното си местоположение хотелът предлага лесен достъп до всички градски забележителности, които задължително трябва да се видят. Предлагайки висококачествени услуги и широка гама от удобства, Tirta Spa Homestay Ви осигурява възможно най-комфортния престой. Безплатен WiFi достъп във всички стаи, 24-часова охрана, ежедневно почистване, експресно настаняване/напускане, съхраняване на багаж са само част от нещата, които отличават Tirta Spa Homestay от останалите хотели в града. Tirta Spa Homestay разполага с 2 стаи, които са обзаведени с вкус. Много от тях предлагат удобства като телевизор с плосък екран, безжичен интернет достъп (безплатен), стаи за непушачи, климатик, бюро. Освен това в хотела можете да се възползвате от множество предложения за приятно прекарване на свободното време. С перфектното си местоположение и несравними удобства, Tirta Spa Homestay е един чудесен избор в много отношения. From the welcome to the farewell and everything in between, this was perfect. My wife and I chose Tirta Spa to celebrate our honeymoon because it looked peaceful and romantic - and we weren't disappointed! It is about a 5-10min tricycle ride away from Boracay's famous White Beach. This is perfect for those who want to enjoy the island peacefully but if you're seeking for sand, sea and activities be prepared to either walk 30mins or pay about 200 PHP every ride. Cecil and her staff are very hospitable and attended to our every need - we even chose to dine in one evening and their Filipino cooking is of restaurant quality! 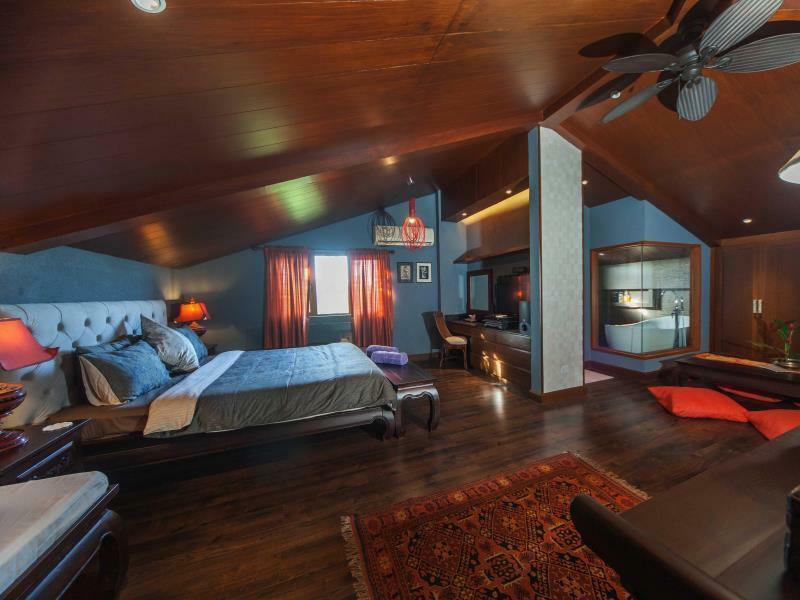 The Premier Loft room itself is part of a beautifully Southeast Asian inspired house and is spacious and furnished to a high standard. The king size bed is comfortable and there are his-and-her sinks, a large shower head and freestanding bath - though some may be a bit uncomfortable with the glass walls which don't give you any privacy. There is a minibar, air conditioning, safe, large TV, and a mobile WiFi hotspot. The estate itself is beautiful with landscaped gardens and of course you can't stay here without trying their award winning spa and massage treatments. A bit expensive but you are paying for a quality experience and to be in an amazing environment. As we stayed during high peak season (New Year week) we overpaid for the room but at its normal rate I think it's good value for money. Breakfast is an optional addition which we opted out of. Would recommend this place to those who appreciate peace, beauty and luxury - and of course an excellent service! Thank you to Cecil and the Tirta Spa staff for making our stay relaxing and enjoyable. This is more like a spa instead of a hotel. Decocation is very nice. You can enjoy another view from here to the beach.